We offer general vehicle servicing using only top quality parts and materials, if during the service your car is found to have defects then we will contact you and inform you of the defect and cost so that you are kept fully informed at all times. We can supply and fit new and spurious parts. 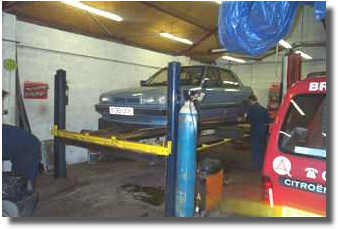 We can submit your car for it's MOT and carry out work to the usual MOT standards, ensuring that your car passes first time. All of our welding is carried out to MOT standards ensuring a safe and clean finish. 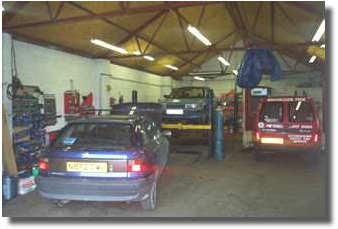 We can quote and carry out any insurance work needed for your vehicle. All mechanical work is carried out in house by ourselves, all bodywork is sent to a body shop nearby who carry out all our bodywork under contract. Most of today's vehicles use toothed cam belts instead of the heavier metal chain alternative, regular replacement of the cam belt must be kept in accordance to the manufacturers time or mileage intervals to avoid extensive engine damage. We offer a full replacement service using only high quality cam belts. 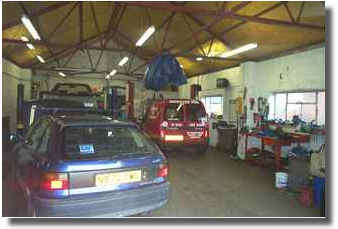 We offer a full clutch replacement service for all vehicles.